Imagine waking up to the call of the wild and the beauty of the greens. Think of watching the sunrise and sunset of sleeping under twinkling skies. This is a haven on earth! Wayanad -the green paradise of India. 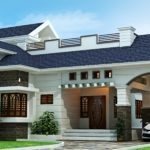 Owning a Budget home in Wayanad is a dream come true! Here you can feel the amazing beauty of the misty hills, rolling meadows, gurgling streams & of course the peace & tranquility. green scenery. You will fall in love with the calmness that prevails here. Wayanad is a preferred destination for nature lovers from all over the world. 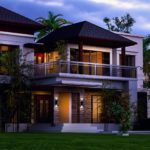 Mariya Group, Top interior designers in Kerala & one among the best architecture companies in India has come out with Villa projects featuring Budget homes in Wayanad. Our biggest strength is its exceptionally talented team of more than 50 experts comprising experienced Architects, Engineers & Designers. The team has specialized departments to handle different kinds of projects like homes or commercial buildings.